Indian hair is one of the most coveted varieties for wigs, weaves, and extensions due to its natural strength, shine, and thickness. Many wearers find that the extensions blend seamlessly into their hair, making it feel healthier and more luxurious. If you have never worn this type of extension before, you may be wondering whether it can be dyed for a custom look. 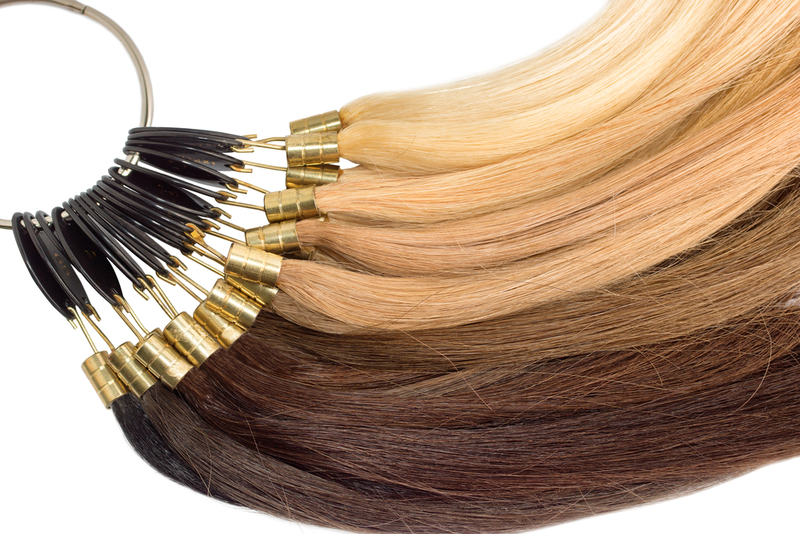 Below, True Indian Hair, New York City's top hair extension supplier, answers three commonly asked questions about coloring these products. Can Indian Hair Be Dyed? The Indian hair used in weaves and extensions is 100% human hair and can be dyed just like yours. In fact, many people color these products to match their existing color to create a more uniform appearance. If you are planning to dye your extensions or weave, be sure that you are using virgin hair; since this type has never been chemically processed, it holds color well. How Should I Dye My Indian Hair? Color your natural hair before your weave or extensions. After you have achieved your desired shade, perform a strand test on the extensions, dyeing just a small segment to determine how they will handle the process and whether you will achieve a color match. If you have never used dye before, consult a professional colorist for the best results. Virtually all Indian hair you purchase from a reputable vendor is virgin. Since these products have never been chemically treated, they will hold any color you apply, whether you want to go lighter or darker. However, keep in mind that the natural color of your extensions may be dark brown or black, and may need to be treated several times before achieving a color such as light brown or blonde. With three convenient locations throughout New York City, True Indian Hair is the leading destination for Indian hair, Brazilian hair, closures, frontals and wig accessories. Find out which products are right for you by calling the Brooklyn store at (718) 221-0181, the Queens store at (718) 262-8231, or the Manhattan store (917) 265-8588. To view the full line of products available, visit their website.